Two legendary football coaches who combined for 620 victories and 28 playoff appearances, and a highly respected wrestling official are the final additions to the Ohio Valley Athletic Conference Hall of Fame’s Class of 2019. Martins Ferry’s Dave Bruney and Monroe Central’s Jay Circosta — who combined for an incredible 95 years in the coaching ranks and ironically announced their retirement on the say day — along with Steubenville native and long-time Union Local High School educator Jim Crosier, are the selections in the Coaches and Officials category who’ll be honored at the 16th OVAC Hall of Fame Banquet on Aug. 17 at WesBanco Arena in Wheeling. Previously announced inductees include Fort Frye’s Tyler Engle and Steubenville’s Liz Repella as athletes for the 2000s; Linsly’s Jamie Adams and Bellaire’s Scott Coyne for the 1990s; Martins Ferry’s Shelly Carroll and Catholic Central’s Mike Gulan for the 1980s; Brooke’s Jeff Patterson and Mingo’s Ron Sismondo for the 1970s; Martins Ferry’s Bob DiStefano and Weir’s Leon Jenkins for the 1960s; Toronto’s George Deiderich and Benwood Union’s Pete Gongola for the 1950s; Bellaire’s Chet Daniels for the 1940s; Dan Doyle, OVAC Family; Roy ‘Al’ Glitch, OVAC Contributor; and Don Clegg, Media. In two weeks, the five selections as “Legends of OVAC Schools” — individuals who played or coached in the Ohio Valley prior to the formation of the conference in 1943 or before their school became a member of the conference — will be announced along with this year’s recipient of the Denny Magruder Distinguished Service Award. ≤ Jim Crosier (Steubenville High School, Class of 1967). As a member of the Ohio Valley Wrestling Officials Association, Crosier spent 29 years as an official, working countless OHSAA sectional, district and state tournaments. He was also invited to officiate the 1979 NAIA National Wrestling Championships at the Wheeling Civic Center (now WesBanco Arena). 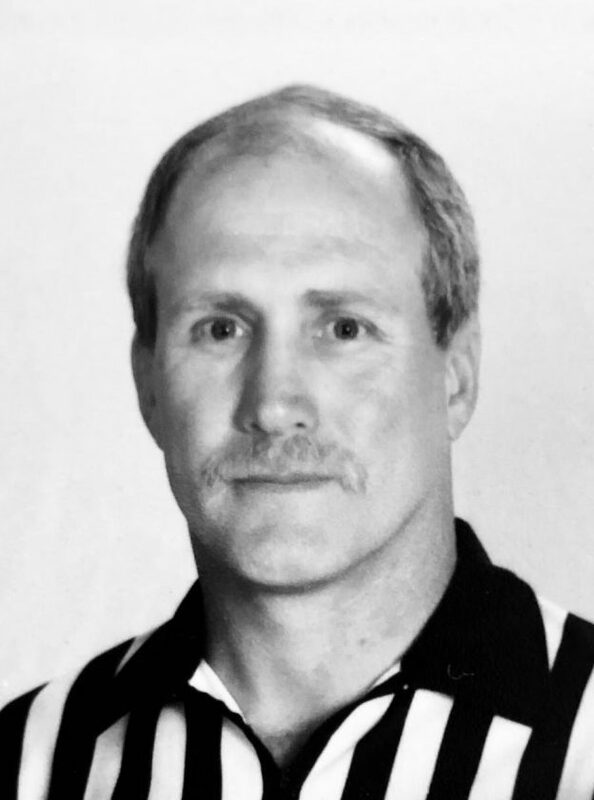 In 2001, Crosier was named the Larry Deaton OVAC Official of the Year by the OVAC Wrestling Coaches Association for his exceptional efforts as an overseer of the mats; he was inducted into the Ohio Wrestling Officials Hall of Fame in 2014 and was the recipient of the “Mr. Mat” award at the OVAC Ron Mauck Wrestling Tournament in 2016. Crosier spent 40 years as an educator, retiring in 2011. He taught and coached at Steubenville High for two years before moving to Union Local, where he was a teacher, wrestling coach and athletic director during his 38 years there. As head coach of the Jets for nine years, Crosier’s mat teams won two OVAC Class 2A titles and one Class 3A championship. He coached four OVAC champions and was named OVAC Coach of the Year three times (Class AA in 1974 and 1975 and Class AAA in 1980). He was the founder of the Ohio Valley Junior High Championships in 1976 (now called the OVAC Junior High Championships). As an athlete at Steubenville High, Crosier was an OVAC runner-up at 175 pounds competing under OVAC Hall of Fame coach Bob Hedmond. He earned his bachelor’s degree from Ohio University in 1971. During 40 years on the sidelines, including 39 at his alma mater, Bruney amassed an impressive overall record of 284-135 (275-134 at Ferry High) which ranks among the top 20 in OHSAA history. Bruney-coached Purple Rider teams made the OHSAA playoffs 14 times in a 20-year span starting in 1998 (’98, ’99, 2000, ’02, ’03, ’04, ’06, ’08, ’09, ’10, ’11, ’13, ’14, ’17) and had only six sub-.500 seasons in 39 years, with only one after 1990. The Purple Riders fashioned four undefeated regular seasons under Bruney (1979, 1998, 2002 and 2004), with the ’04 team winning the OHSAA Division IV, Region 15 championship before falling to Youngstown Cardinal Mooney (27-6) in the state semifinals. His teams also won six Ohio Valley Athletic Conference championships (1999, 2002, ’04, ’08, ’11 and ’13) and he coached in the OVAC Rudy Mumley All-Star Football Games four times. Bruney sports an impressive list of honors, including being named to the OHSFCA Hall of Fame in 2010. He also received the Ohio Coaches Achievement Award from the Minor Pro Football Hall of Fame in Pittsburgh in 2014; the entire Bruney family was honored by the Lou Holtz Upper “Ohio Valley Hall of Fame with the Heritage Family Award in 2010; and Martins Ferry’s Dave Bruney Football Complex was named in his honor. Bruney’s coaching career began in 1973 as an assistant at Buckeye North under Bill McHugh. He then served as an assistant at Ferry three years (1974-76) under his cousin, Bob Bruney, and then spent a year as a graduate assistant at Marshall University under Frank Ellwood (1977). His first head coaching stop was at neighboring Bridgeport, where he guided the Bulldogs to a sparkling 9-1 season. As an athlete, Bruney was an All-Ohio honorable mention and All-OVAC first team selection as a member of the Purple Riders football team. He went on to Ohio University (graduating in 1973) where he was recruited by Ferry graduate Cliff Hefflefinger and played for the Bobcats under coach Bill Hess. ≤ Jay Circosta (Shadyside High School, Class of 1963). When someone dedicates a half-century of their life to something, it’s truly amazing, and when you’re the second all-time winningest football coach in the Ohio Valley’s football tradition-rich history, earning Hall of Fame accolades is a given. The Monroe County legend began his coaching career in 1968, serving as an assistant three years at Woodsfield under former Ohio State University standout Bob Butts. When Butts left for Union Local, Circosta took over to begin a 47-year head coaching run, the first 23 seasons at Woodsfield and then, following consolidation, for 24 years at Monroe Central. Circosta-coached teams enjoyed six undefeated regular seasons (1973, ’76, ’91, ’93, ’99 and 2002); captured 14 OVAC championships (nine at Woodsfield; five at Monroe Central) and earned 14 OHSAA playoff appearances (five at Woodsfield; nine at Monroe Central). Woodsfield was crowned the 1976 Class A state champions by The Associated Press and Monroe Central won the Division V, Region 19 championship in 2001 before falling to Bedford Chanel in the state semifinals. He coached in the OVAC Rudy Mumley All-Star Football Game four times (1974, ’77, ’81 and 2000) with a 2-2 record and he coached in the BACF All-Star Game once. Circosta also coached baseball for 14 years with nearly 150 victories. He was previously inducted into the West Liberty University Athletic Hall of Fame (1996) and the Ohio High School Football Coaches Hall of Fame. He was named the Upper Ohio Valley Dapper Dan Club’s “Man of the Year” in 2005 and was named Eastern District and Pioneer Valley Conference “Coach of the Year” numerous times. The road through Memorial Park in Woodsfield is named “Jay Circosta Boulevard” and the “Jay Circosta Fieldhouse” is part of the athletic facilities. He received an A.B. 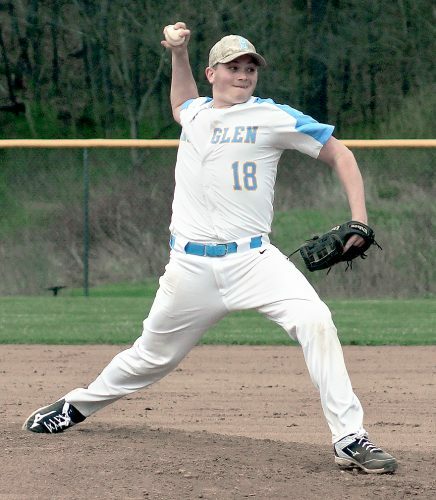 in secondary education from West Liberty where he played both football and baseball and an M.S. of education in guidance and counseling from the University of Dayton.